I'm getting really tired of trying to keep my MacBook Pro Retina screen clean, It beats me how it gets marked. 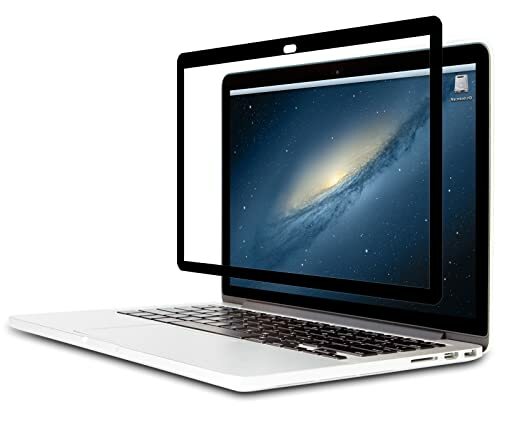 I have been looking at the Moshi Ivisor Screen protector for the MacBook Pro Retina 13", Has anyone got/had this? I would welcome some input. I don't have the MBP retina but have been using Moshi Ivisor on all my devices (MBP,iPad Mini & iPhone 6 ) for years now and LOVE them . When you feel there's a bid of dust under , just take it off , wash it and put it back on . It's worth every penny . Thank you, Some one said that they thought the Moshi pulled off some of the coating on their Macbook screen, I take it you haven't had such a problem? Also some reports on Amazon that the Moshi made their screens look "grainy" and not as sharp. Last edited by Poisonivy; 09-13-2015 at 05:18 PM. I never had a problem with the coating . On the other hand I have the ones with mat finish , the screens might not ne as sharp ..but no fingerprints ! Sounds good..... I would think that you don't need to take it off all that often. I'm forever cleaning my screen and I worry about it getting scratched. Great, I think I'm going to get one. One more question, Can you actually tell its there? I have a Moshi Clearguard on my keyboard, I wonder if the lid will close ok with both on? Last edited by Poisonivy; 09-14-2015 at 05:47 AM. I've got a clearguard on mine too ( Can't remember if it's Moshi or not ) and have no issues . Great, I need a new Moshi Clearguard now, Mine is over three years old, I tried another make recently (MediaDevil) but it wasn't as good. I will order both at the same time from Amazon and then theres no P&P. I'm happy to help if I can !